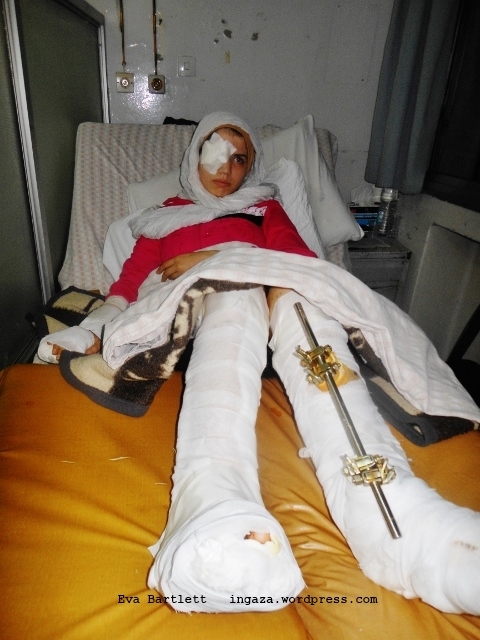 Fourteen year old girl from Arihah, Idlib, critical condition after hit by mortar shrapnel. From February 24-26, 2015, I joined a US delegation of 6 anti-war activists—including, notably, former Attorney General, Ramsey Clark, as well as former US Congresswoman Cynthia McKinney and long-time anti-war advocate Sara Flounders, of the International Action Center—in a solidarity visit to Damascus. During our two days, we met with a number of important Syrian voices, including: Dr. Bouthaina Shaaban, Political & Media Advisor to President al-Assad; Ministers of Information and Justice; Vice Minister of Foreign Affairs; President of the (independent) BAR association; Syria’s Grand Mufti, Sheikh Ahmad Badreddin Hassoun, and leaders within the PFLP based in Syria.